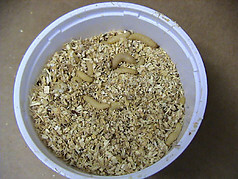 Ideal master storage container to keep hundreds of worms fresh and active. Complete kit includes 4 1/2 lb. 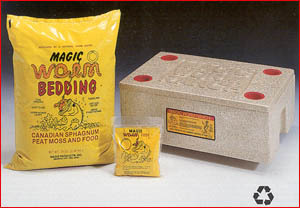 bag of Magic Worm Bedding, 12oz. bag of worm food and instructions. Whether you harvest your own worms or buy them in bulk, the Ranch will keep them fishing ready for your next trip. This is a great worm container for holding your worms or growing some out. This is two feet long!!? You will love this Worm Ranch. Use this bin as an inexpensive starter worm composting unit.